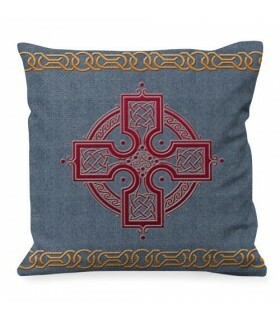 Viking and Celtic cushions There are 8 products. 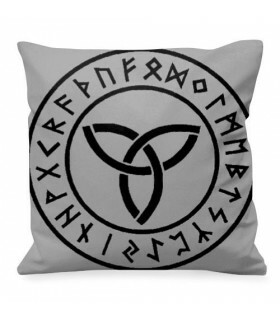 Cushion runic Celtic symbols available in various sizes. Made of polyester. Includes stuffing Removable cover suitable for washing machine. li>Maximum washing temperature 30º C. Iron at low temperature.Suitable for dryer.Dry at low temperature.Do not use bleach. 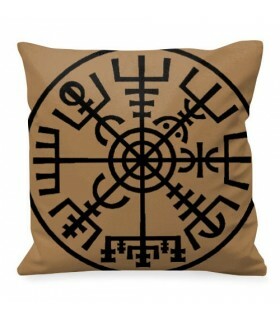 Vegnisir cushion, the magic Viking Compas available in various sizes. Printed on both sides. Made of polyester. Includes stuffing Removable cover suitable for washing machine. li>Maximum washing temperature 30º C. Iron at low temperature.Suitable for dryer.Dry at low temperature.Do not use bleach. 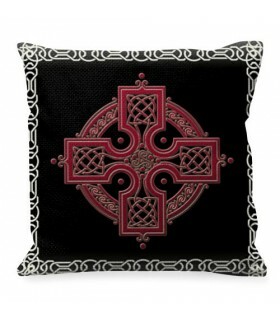 Celtic Triqueta cushion available in various sizes. Printed on both sides. Made of polyester. Includes stuffing Removable cover suitable for washing machine. li>Maximum washing temperature 30º C. Iron at low temperature.Suitable for dryer.Dry at low temperature.Do not use bleach. 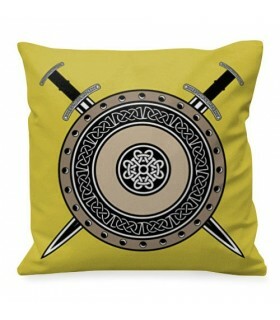 Viking Arms Cushion available in various sizes. Printed on both sides. Made of polyester. Includes stuffing Removable cover suitable for washing machine. li>Maximum washing temperature 30º C. Iron at low temperature.Suitable for dryer.Dry at low temperature.Do not use bleach. 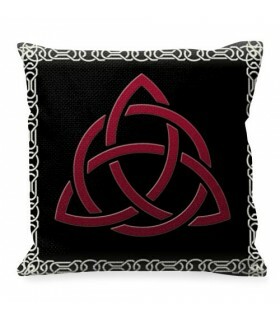 Cushion with Celtic Knot. The celtic knot was used by Celts, Vikings and Romans. Available in various sizes. Manufactured in polyester. Includes fill.Cover removable, suitable for washing machine.Maximum washing temperature 30 ° C.Ironing in low temperature.Suitable for dryer.Dry at a low temperature.Do not use chlorine. 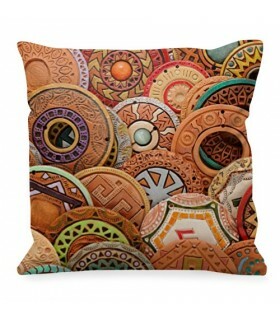 Cushion Trisquetas and Celtic Knots. These symbols were also used by Vikings and Romans. Available in various sizes. Manufactured in polyester. Includes fill.Cover removable, suitable for washing machine.Maximum washing temperature 30 ° C.Ironing in low temperature.Suitable for dryer.Dry at a low temperature.Do not use chlorine.